Coquitlam - Fiber Optic services to residential and commercial buildings. AEBC is working in partnership with the City of Coquitlam’s Qnet program to provide Fiber Optic services to residential buildings and commercial complexes across the city, positioning Coquitlam at the forefront of modem connected communities. Coquitlam, BC was one of AEBC’s first fiber-to-the-home (FTTH) cities where businesses and residents can access next generation fiber optic internet technology at a fraction the price of existing cable and dsl. 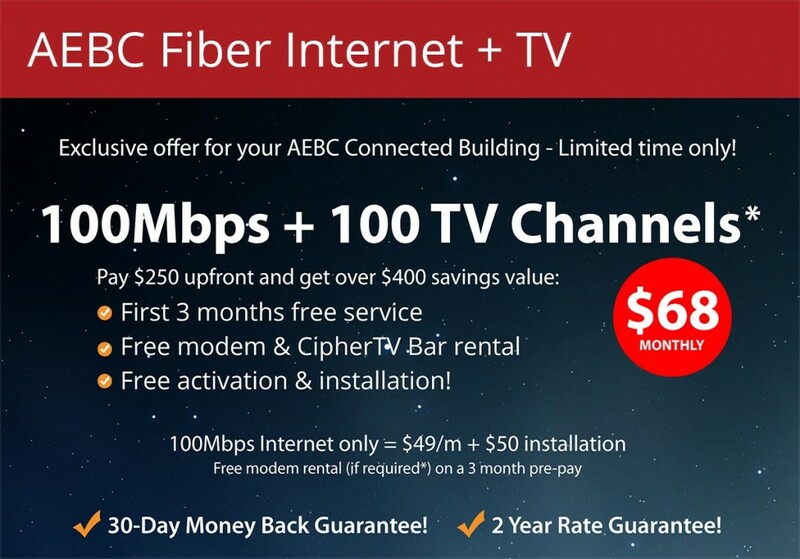 AEBC offers fiber optic connectivity to residential and commercial buildings, and next generation services such as IPTV and VOIP that utilize the advanced Fiber Optic networks. Connect your multi-dwelling residential building to the AEBC network and receive volume discounted rates on internet, TV and phone services. Get your building connected with no costs or commitments! Not listed below? Click here to get started using our cable, DSL and Air Fiber networks. AEBC can connect your business to the Qnet fiber network and provide unlimited internet usage for a fraction of traditional costs. Click here to check your address availability! Interested in partnering with AEBC to connect your city or community? Click here to contact us.